Well, ask and you shall learn because this entire post is dedicated to helping answer that very question. Is your organization looking to grow its pool of major gift prospects? Are you hoping to upgrade annual fund donors? Do you wish you knew more about your prospects during cultivation? If you answered yes to any of those questions or find yourself in very similar situations, your nonprofit could likely benefit from prospect research. So, what is it? Let’s define prospect research. Which types of organizations perform prospect research? 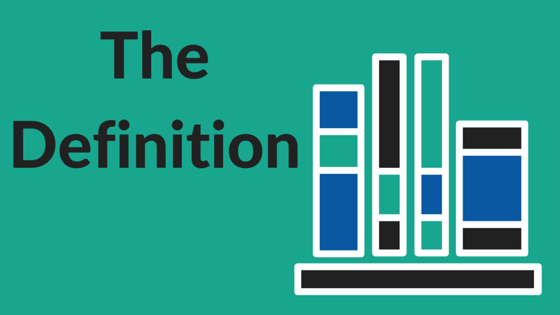 What are the common prospect research terms? How does prospect research fit into your fundraising strategy? Reminder — you can click on any of the questions above to skip ahead to the particular answer you’re looking for. A nonprofit’s internal development team (including the major gifts officer). A specialized prospect research consultant. A prospect screening company such as DonorSearch. Generally prospect research will compile data on the donor’s giving history, involvement in other organizations, political giving, business affiliations, and much more to get a full picture of potential donors. After compiling the data, the person, team, or organization managing the process will synthesize the data to identify which prospects the nonprofit organization should focus its fundraising activities on. They’ll analyze the data to determine which prospects have the most most capacity and willingness to give. That way, your organization doesn’t have to spend time going through all the data. This technique is often used to support and inform the acquisition of major or planned gifts. However, it can also be informative for other types of fundraising activities such as annual giving campaigns or day-to-day fundraising efforts. Whether you decided to take on prospect research yourself or hire a professional, there are plenty of free and inexpensive resources available to gain deeper insights into your organization’s prospects. Just check out this list of resources from Fundly, to get a jump start in the right direction. The key takeaway here is that when it comes to prospect research, if your organization is looking to fundraise, you’re bound to be able to take advantage of the benefits prospect research has to offer. No two nonprofits are the same, and no two nonprofits have identical prospects. Even though the prospects they’re looking for are going to vary, their overall need for prospects will remain ever present. It’s a fact of life as a fundraising organization. And that’s where prospect research comes in. The data and details that nonprofits screen for are fairly universal. However, each nonprofit has a unique supporter base, and that uniqueness impacts who your organization chooses to screen and why you’re researching them. When you conduct a prospect screening at your organization, home in on prospects who fits the needs of your nonprofit and the growth you’re looking to see. Learn more about how prospect research varies by nonprofit cause by heading over to this article. 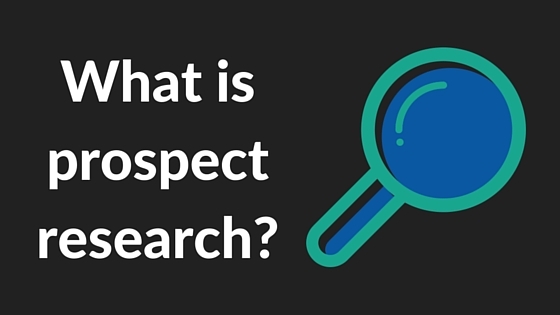 The further you delve into prospect research, the more related vocabulary you’ll be exposed to. To get you started, here’s a list of terms you’re sure to encounter in your research. A prospect is an individual or philanthropic entity, such as a foundation, with the potential to make a donation to your organization. Prospects may be new to your organization or may have made one or more donations in the past. A prospect researcher is a role within or coordinating with the fundraising operation that is responsible for compiling data on fundraising prospects. Based on the situation, the prospect researcher may also be responsible for the consolidation and/or implementation of data into the fundraising activities. A prospect screening company is a company, such as DonorSearch, that provides prospect research tools and screening services to support nonprofits or consultants in gathering, verifying, and synthesizing data on prospects. A wealth screening is the financial analysis portion of prospect research. When someone performs a prospect screening, they’re looking at both philanthropic markers and wealth indicators. A wealth screening encompasses the research and analysis surrounding wealth indicators and helps determine if a prospect has the financial capacity to donate a gift. You’re bound to come across each of these terms (and their various iterations) as you embark on your path to prospect research. The better you understand the terminology, the better equipped you’ll be to get up to speed on all things prospect research and launch an effort at your nonprofit. Simply put, the benefits of prospect research are immense. If your nonprofit is looking for a way to maximize the efforts your team puts into cultivating, soliciting, and stewarding donors, you should look into prospect research. The results from a screening can help your team understand your prospects far better, and, as a result, guide your handling of them so every ounce of time and resources spent is optimized. When you decide to focus on prospect research, you’ll see benefits across numerous areas, including the advantages listed below. One of the main reasons why many organizations incorporate prospect research into their fundraising process is to improve major gift fundraising. Screenings will point your team in the direction of qualified prospects and inform the ways in which you cultivate those prospects, thereby increasing conversion rates. This point is directly related to the first benefit listed. When you start screening for major gift prospects, it’s important to search inward and among your donor pool. You never know which donor on your annual fund list has the capacity to become a major gift donor. Identifying planned giving prospects can often feel like an elusive task. The markers for planned gift prospects are not as readily apparent as they are for other types of donating, such as major giving. Prospect research will illuminate those less than apparent markers and identify high-quality candidates for planned giving. Using prospect research, you can uncover valuable personal and professional connections your donors have and ask those donors to help facilitate introductions. For example, you might realize that one of your loyal donors is a colleague of a high-value prospect that your major gift officers are interested in cultivating. You could then ask that loyal donor to introduce one of your officers rather than have a team member perform some cold outreach. A major asset of prospect research is its ability to teach you more about your donors. By taking your screening results, you can study up on your donors’ giving patterns and better predict their future charitable behavior. There are even more benefits than the five listed here. To get the full list, check out this comprehensive article on prospect screening benefits! As this article has pointed to throughout, prospect research is a more versatile fundraising tool than most would expect. It’s not just for major gifts anymore! Prospect Research for Hospitals. Hospitals and other healthcare organizations can learn a lot about their potential supporters through prospect research. Learn more about how healthcare organizations can conduct prospect research. Prospect Research Ultimate Guide. For more in-depth information on prospect research, read this detailed guide. It will take you through everything your organization needs to know about researching potential donors. Prospect Profile Templates. Creating a profile of every prospect is a must if you want to perform successful prospect research. Get our free templates to get you started!